Rollz Motion Two In One Compact Rollator Wheelchair. 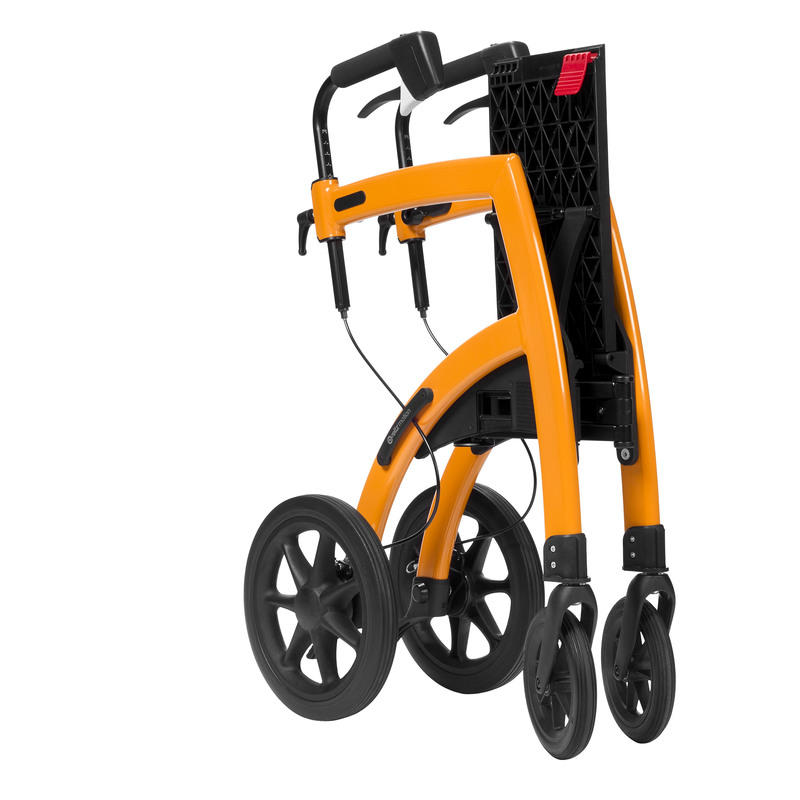 Taking more than four years to develop and perfect, those clever people at Rollz International have created a product that bridges the gap between a Rollator and a Wheelchair, this means that you can go out for the day keeping active without worrying about getting home. 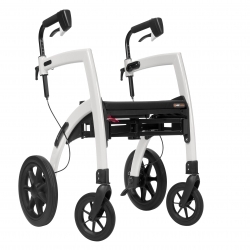 Start out using the Rollz Motion as a normal Rollator supporting you as you walk, then when the time comes the Rollz Motion converts into a Wheelchair allowing you to continue for the rest of the day (or as long as you need) in the comfort of the Wheelchair. The design of the Rollz Motion is very cleverly thought out, it has a strong lightweight alloy frame with composite plastic components for the seating sections and supports, the Rollz Motion also folds together allowing simple easy stowage in the boot of your car. 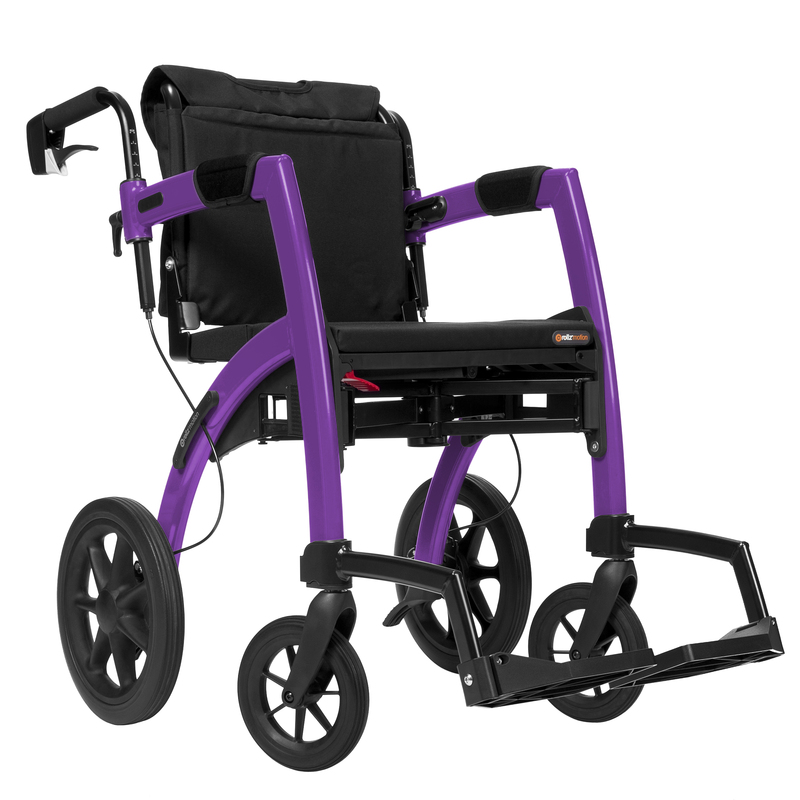 It also has a modern design that completely sets it apart from the mass produced Rollators and Wheelchairs manufactured in the far east - you will be the envy of everyone you meet ! 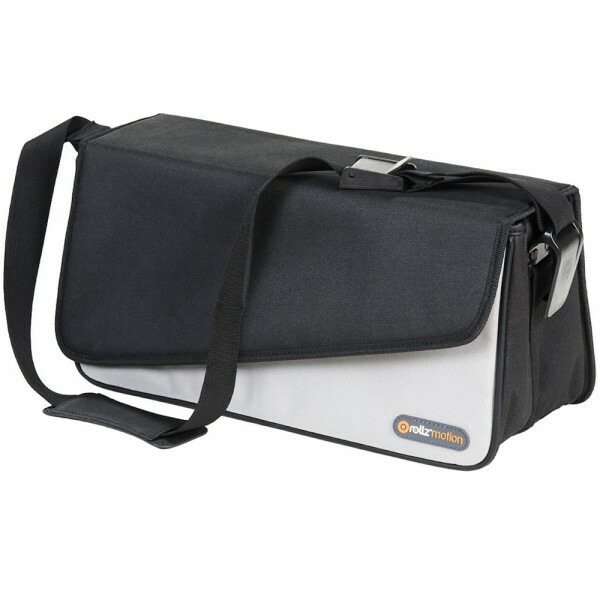 Easy to use folding mechanism - the sides of the frame fold in to the middle. 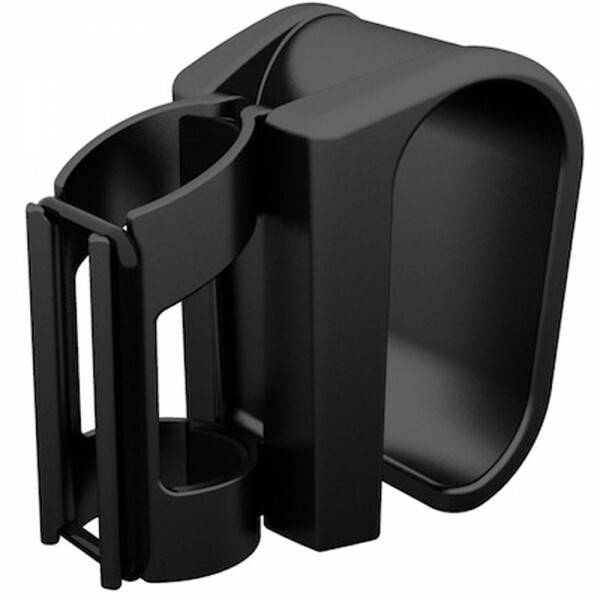 Ergonomic hand grips for comfortable secure use. Advanced bearings for light easy steering on highly manoeuvrable front wheels. Alloy frame for stability and strength. 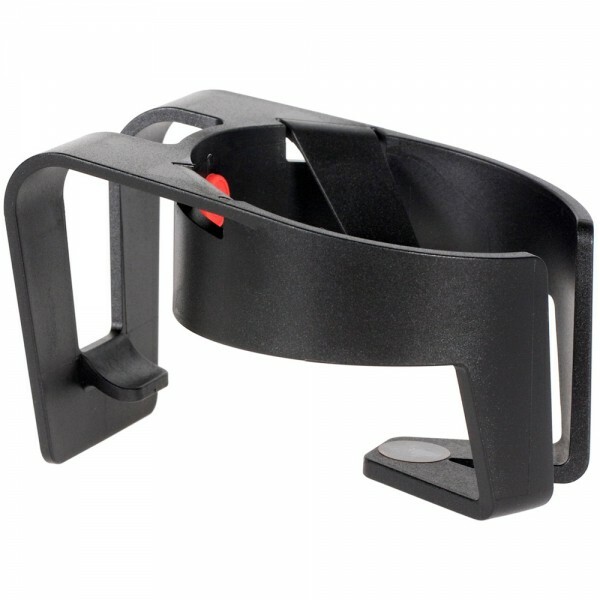 Integrated kerb lifter / threshold aid makes it easy to travel over obstacles. Foam filled tyres are impervious to punctures and give a soft comfortable ride. Converts from a rollator to a wheelchair and back again in moments. Handle height can be adjusted in seconds to ensure comfort and good posture. I can't prase this highly enough. changed my life.. everything you have always wanted in both a wheelchair and a rollator and its in one unit.. my husband has a frozen shoulder and found it hard to push my wheelchair before, with this one he says he doesn't realise he is pushing it.. from my point of view it is a dream to walk with and so comfortable in wheelchair mode.. it has a smaller wheel base than my old rollator so easier to use indoors very tight turning no longer a problem. Love the colour & the bag underneath is very handy. It doesn't come with stick holder so got one of those to and can recommend that too. Going up and down steps is a dream its so well balanced, the bigger wheels help.. over all i am beyond happy with my rollz thank you..
Rolls 2 delivered today. We are thrilled with it, it\'s absolutely brilliant thank you. Does everything it says it should and will make a whole heap of difference to our lives. Only one problem, it was delivered without the cane holder, which was actually ordered in error and isn\'t actually needed. Two options, you can arrange for it to be sent or you can arrange a refund. Entirely your choice but we are delighted with the purchase.